Enjoy the full Winey Mary Bar every Sunday Noon-6PM. 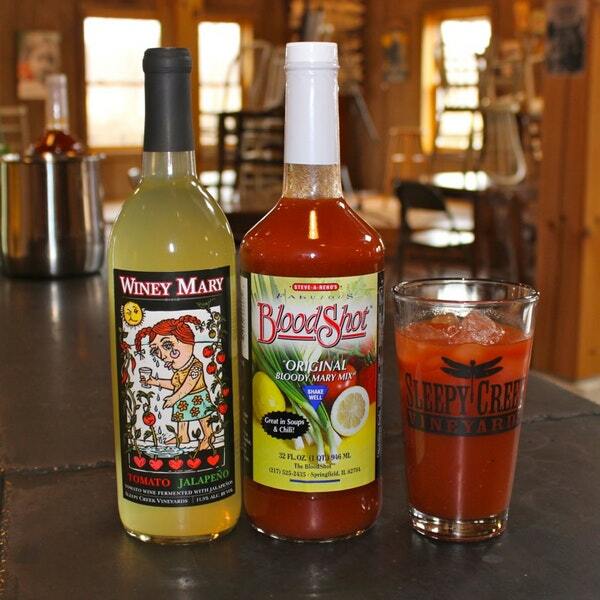 Winey Mary is a tomato-jalapeno wine. By itself, it’s like a Dirty Martini, or enjoy it mixed as a winey Bloody Mary.